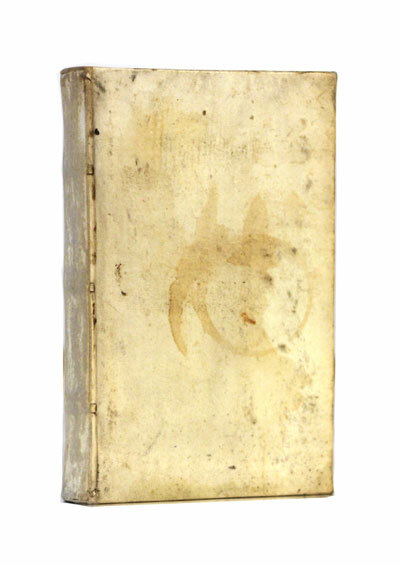 An essay by classical historian Plutarch, in a vellum binding in its original Greek form with grammatical analysis, notes, and interpretation in Latin. 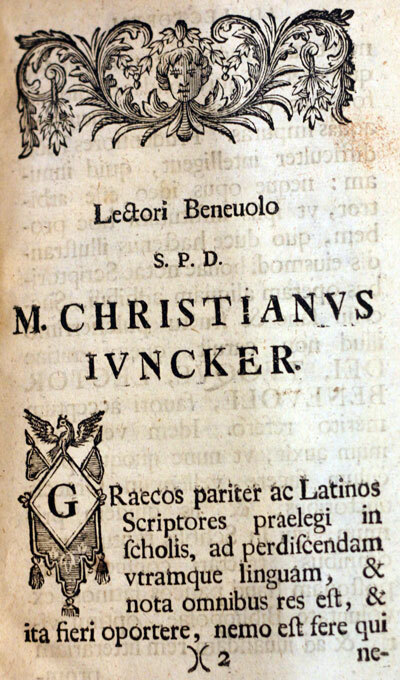 Publisher: Lipsiae, In Officina Weidmanniana, 1744. Condition: Hardcover, vellum. Front blank missing, some notes to the inner front board, some notes in text, otherwise good. Firmly bound. 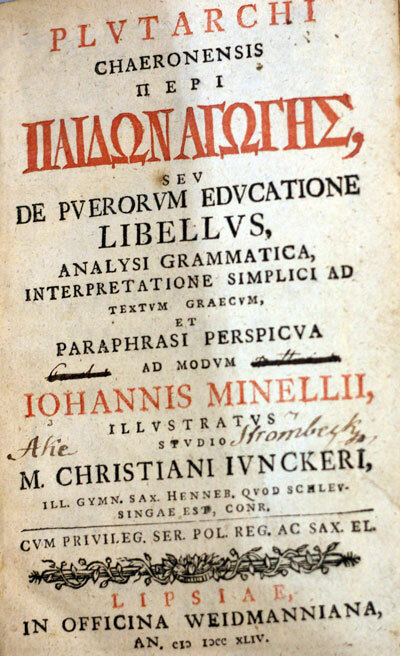 An essay traditionally attributed to Plutarch, here published in its original Greek form with grammatical analysis, notes, and interpretation in Latin by John Minelli. The essay reflects in many ways the educational conditions of its time. Frankly recognizing the difference in natural endowments, the author insists on the great benefits which inevitably come from training. Physical training is of course required, and military training is held to be most important for preparing men to win in battle. A knowledge of philosophy is the final goal of education. Finally, a word is added on the excesses of young men, and a warning against flatterers, — suggested perhaps by Plutarch’s essay devoted to that subject. The essay is extracted from The Moralia of Plutarch of Chaeronea – an eclectic collection of 78 essays and transcribed speeches. They provide insights into Roman and Greek life, but often are also timeless observations in their own right. Many generations of Europeans have read or imitated them, including Michel de Montaigne and the Renaissance Humanists and Enlightenment philosophers.